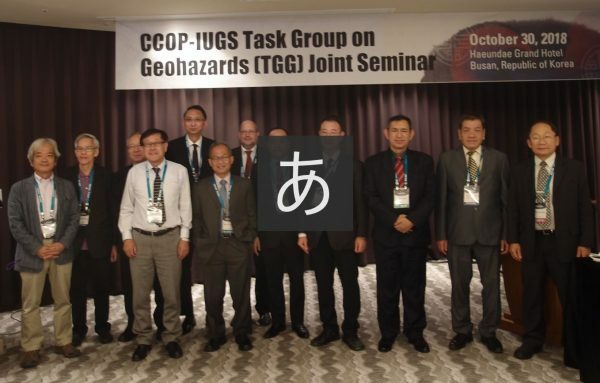 The CCOP and IUGS Task Group on Geohazards (TGG) organized a seminar on the 30th October, 2018 in conjunction with the 54rd CCOP Annual Session held in Busan, Korea. Seven papers from Finland, Japan, Korea, Myanmar, Thailand and Vietnam were presented. Approx. 20 people from the CCOP member countries and the cooperating countries and organizations attended this seminar and discussed geohazard research and disaster risk reduction.